WEATHER: A cold start, dull and overcast, warm and sunny at the coast, a chilly wind all day. What a fabulous day’s birding we had today, we saw 95 species and our sightings included some excellent species. 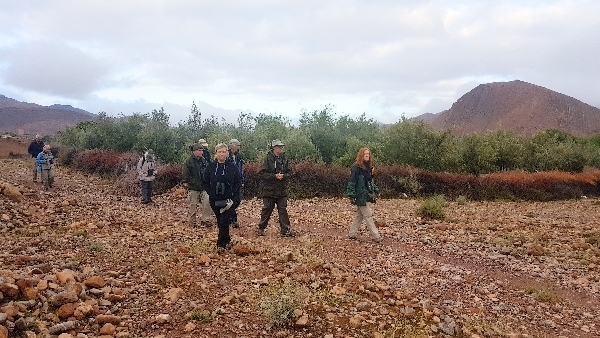 It had rained again overnight and our visit to the almond groves behind the hotel just after breakfast was really quite rewarding because the area was alive with migrants. At first it seemed that only resident species were present with hordes of Common Bulbuls, Chaffinches, Blackbirds, Collared Doves and many other common species adding to a crescendo of bird song that was really quite loud. We quickly found other species such as Thekla Lark, Sardinian Warbler, Corn and House Bunting and we heard Common Nightingale. Then as the light improved and it warmed a little, migrant warblers began to appear. 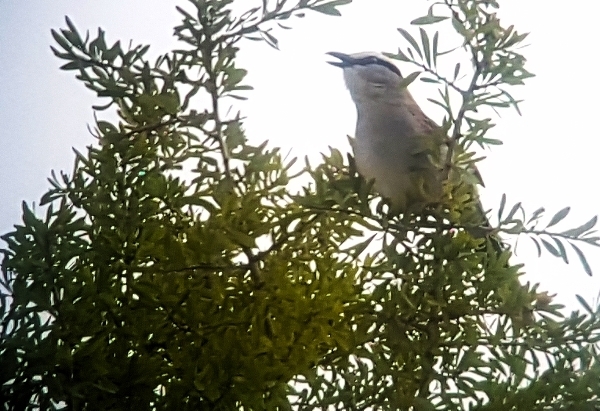 We found Melodious Warbler, Bonelli’s Warbler, many Subalpine Warblers and a few Orphean Warblers as well as Turtle Dove, Laughing Dove, Blue Rock Thrush, Moussier’s Redstart and we heard Levaillant’s Woodpecker in the distance. 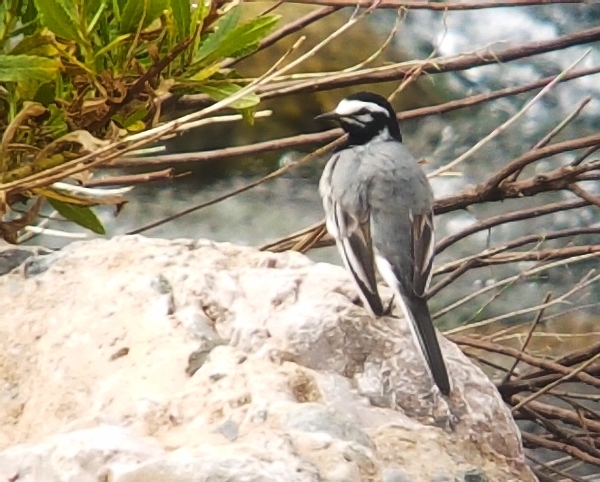 At 8:30 we jumped onto the bus to continue our journey to the coast and after 45 minutes we stopped at on of my favourite birding places in Morocco, the Aoulouez Gorge. 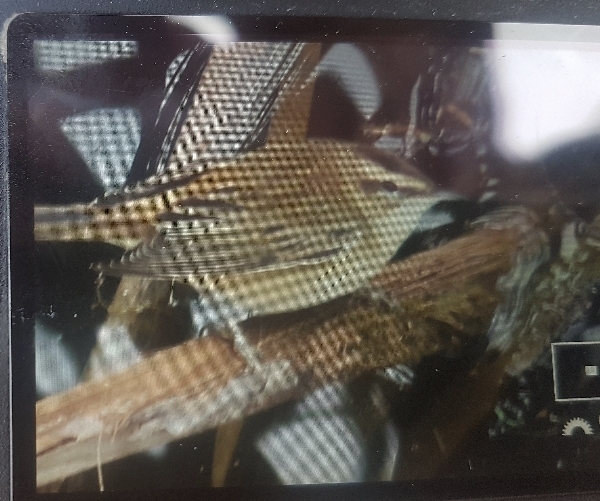 We parked near the road bridge and spent an hour or so scanning the river which was quite low but held several reed-fringed pools. 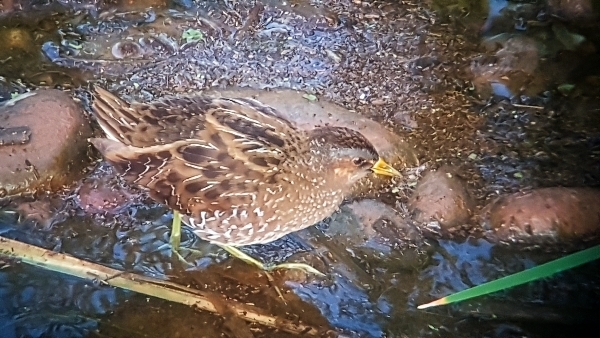 A distant pool held a Grey Heron, a pair of Little Grebes, a few Moorhens and, to our great delight, a female Little Crake. This bird was showing extremely well feeding out on the lily pads in full view. 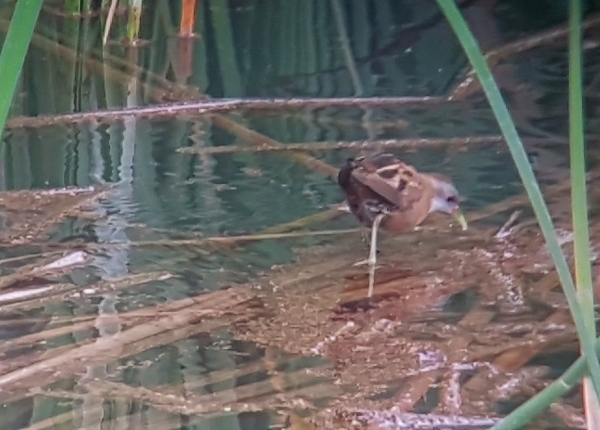 Over the next half hour we discovered another four Little Crakes and right below us a Spotted Crake came into view, what a nice find by Jay. 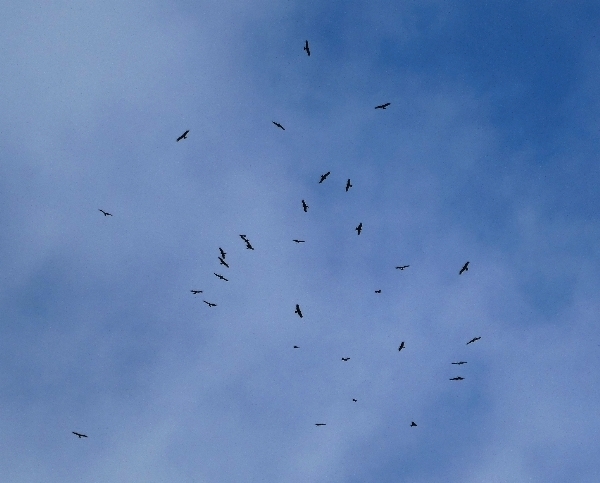 As the air temperature warmed up we noticed a large flock of Black Kites circling on the thermals then suddenly there was an explosion of White Storks as around 500 took to the air about a kilometer downstream, it was an amazing sight. European Bee-eaters came over in small flocks of 10-30 birds and Booted Eagles seemed to be ever-present overhead. 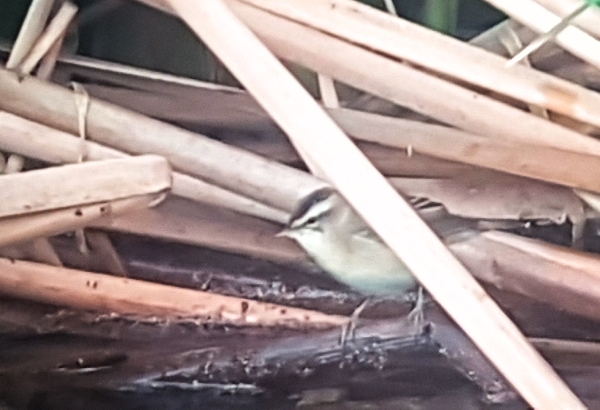 Back on the ground Andy found a Moustached Warbler just below the bridge which caused quite stir and we tracked down one of two Black-crowned Tchagras that had been singing all the time we were there. We also watched many Reed and Sedge Warblers, a Common Kingfisher and a few Little Egrets. Phew, what a fantastic hour we had and it didn’t stop there! We took a walk along a track that led us into the gorge, but we didn’t get far because more Little Crakes were found and we scoped both Green and Common Sandpipers, Ruddy Shelduck, Squacco Heron, Grey, Ommon Kingfisher, Yellow and Moroccan Wagtails and we finally tracked down one of the many Common Nightingales that were singing. We also added Serin, Linnet and Cirl Bunting to the list. Jay and Andy were having a ‘purple-patch’, they came up with our second Barbary Falcon, it was sitting on a pylon eating breakfast. 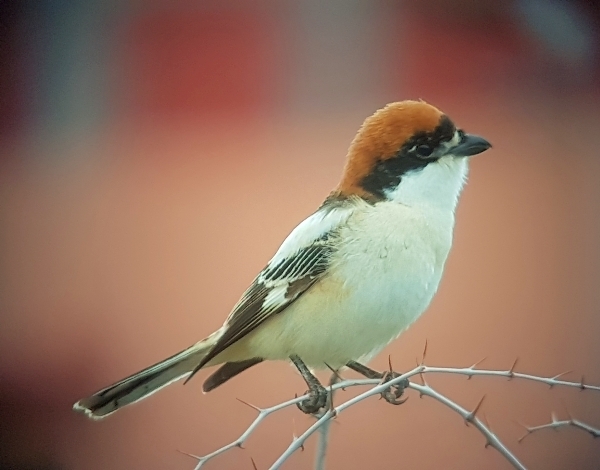 Black Kites and White Storks continued to form swirling ‘kettles’ high in the sky above us and European Bee-eaters continued to pass over, a single Montagu’s Harrier also flew over the gorge. The whole visit to this wonderful spot was just amazing. Eventually we had to leave and as we approached the bus we heard an Iberian Chiffchaff singing, but we could not locate it in dense cover, a pity! After buying lunch in town we drove for another 40 minutes or so and pulled over onto a large flat area of scrub, this was a site where I had seen Black-winged Kite in the past. We ate our picnic lunch before taking a stroll in the heat of the day, the area was alive with Greenfinches, Crested Larks, House Sparrows, Goldfinches and still more Black Kites swirled above us. After 30 minutes we realised that the Black-winged Kites was not present so we got back into the bus to continue our journey. An hour later we passed through Taroudant and then we made a quick coffee stop. 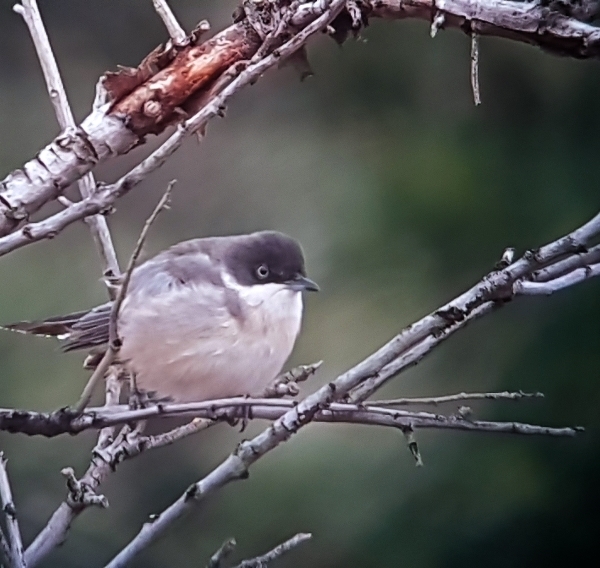 Another 45 minutes took us to Agadir and our hotel, I recorded a sighting of a Black winged Kite but no one else on the bus got to see it. We arrived at the hotel at 5pm and after a quick check-in and a short time in our rooms we set off for the Oued Sous estuary. It was 6pm when we arrived at the Oued Sous, we intended to stay until dark to try to see a Red-necked Nightjar. It was also high tide so many birds had gone off to roost elsewhere. 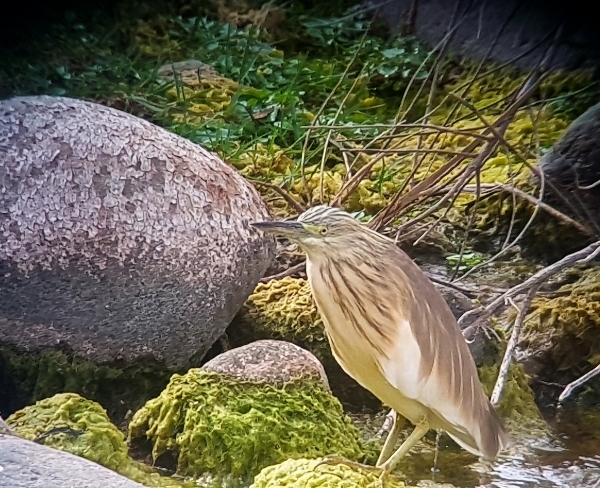 Our search for a Stone Curlew went unrewarded but we added several new species to our trip list, these included: Grey Plover, Common Redshank, Eurasian Curlew, Dunlin, Slender-billed and Audouin’s Gulls. We also saw a great many other species during our walk along the river towards the sea. Greater Flamingo, Eurasian Spoonbill, Glossy Ibis, Pied Avocet, Black-winged Stilt, there were also hundred of gulls roosting on a sand bar with a hundred or so of Sandwich Terns. We watched an Osprey and found our first Greater Ringed Plovers before watching a beautiful setting sun. As it got dark we walked to the woodland where we hoped to see the nightjar, we stayed until 8:30pm but not a single nightjar called! One consolation was the sighting of two Stone Curlews. It had been a tremendous birding day with many great sightings, we went home happy and ate alte dinner before retiring for the night.